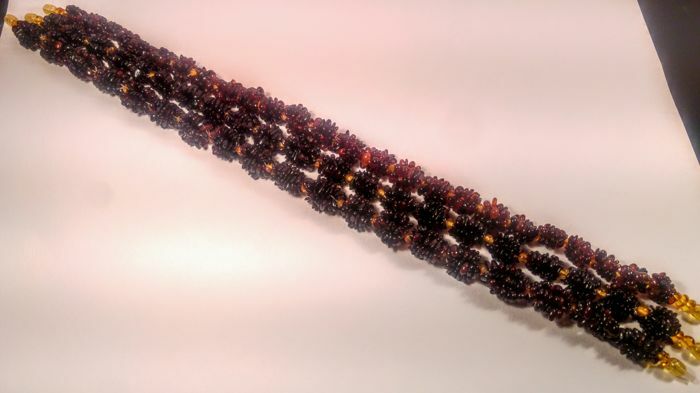 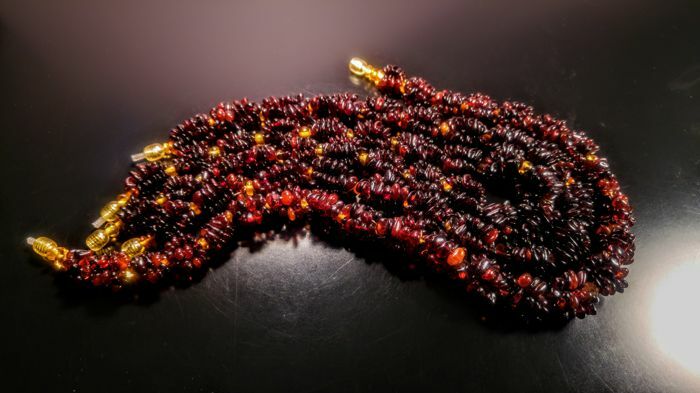 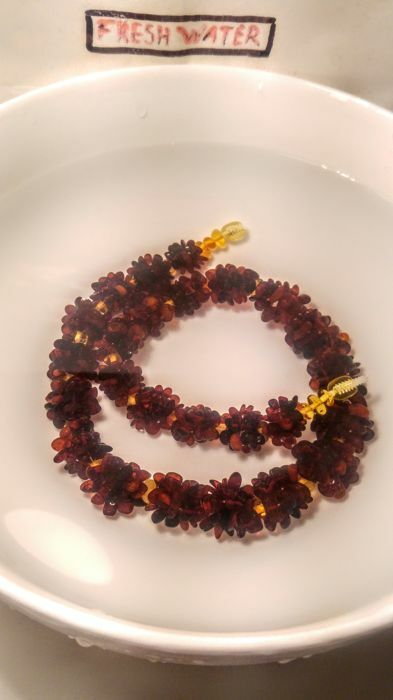 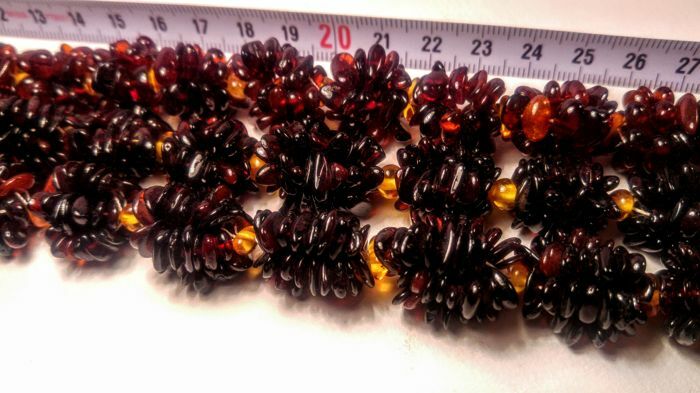 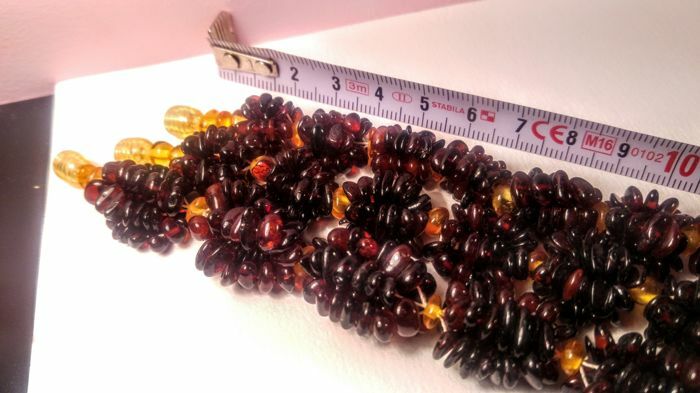 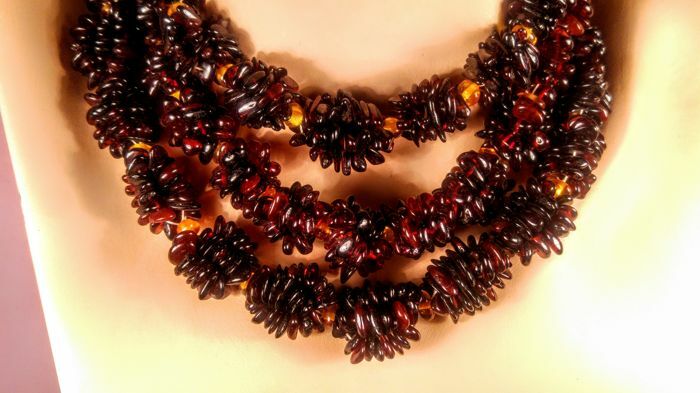 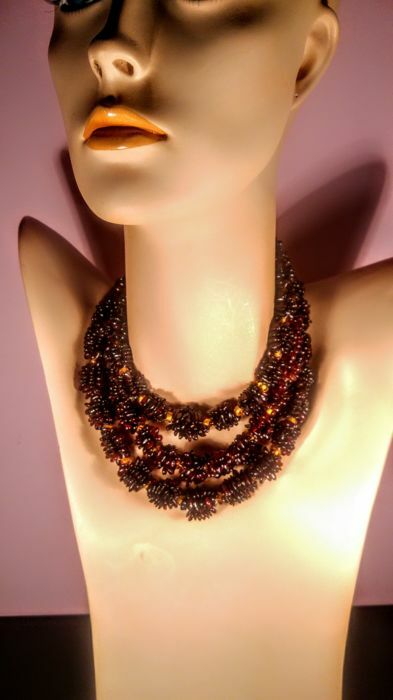 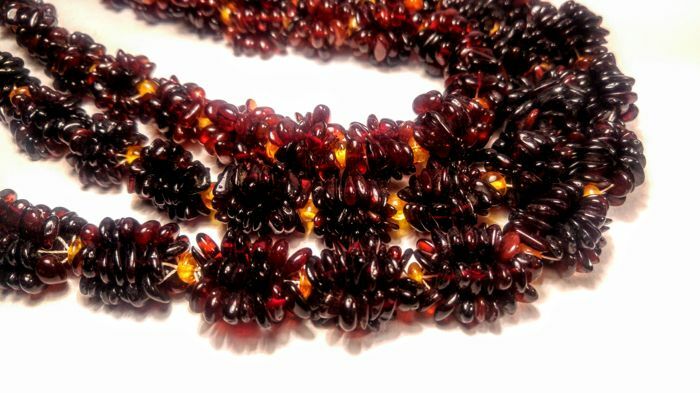 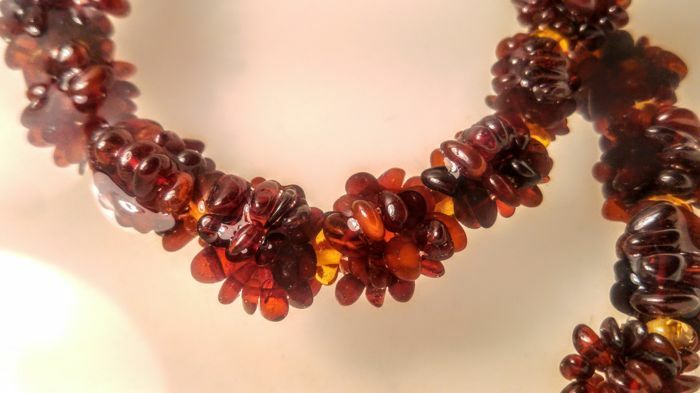 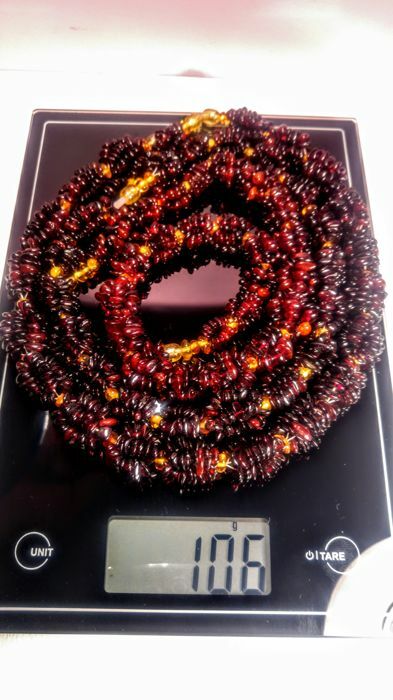 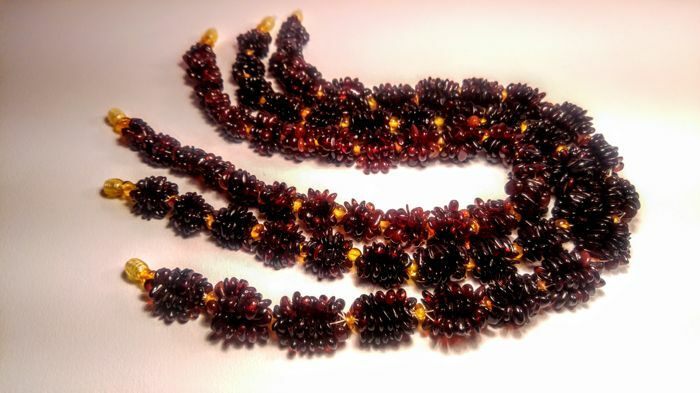 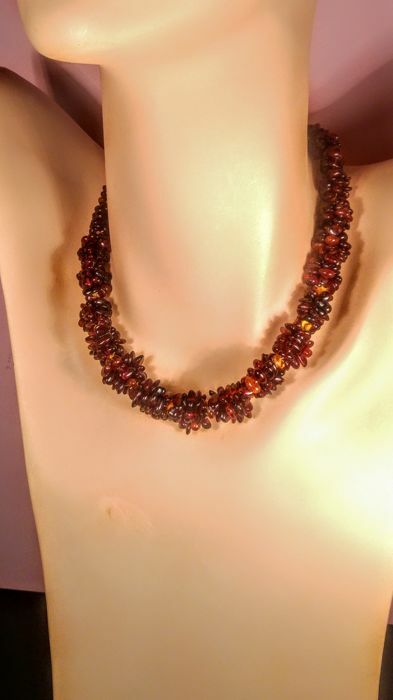 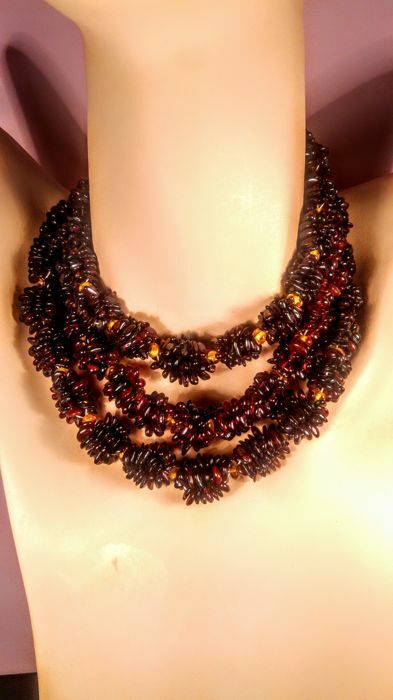 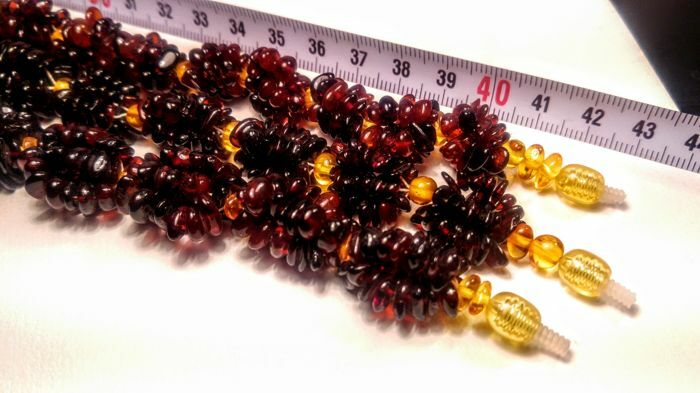 Necklace are made of 100% Natural Baltic amber monolithic stones. 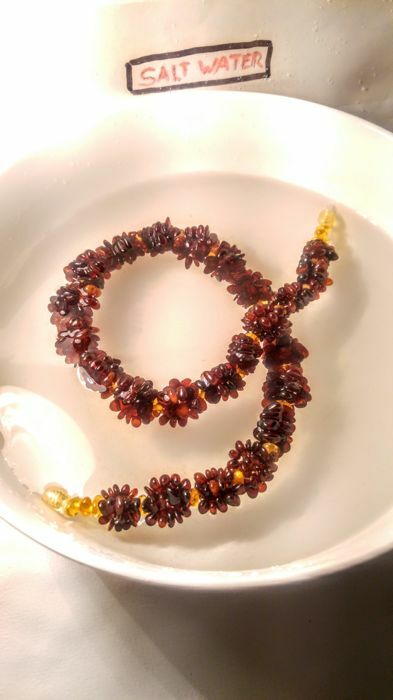 This universal necklace can be used at different lengths, because it can be connected to one long necklace with screw shape clasp. 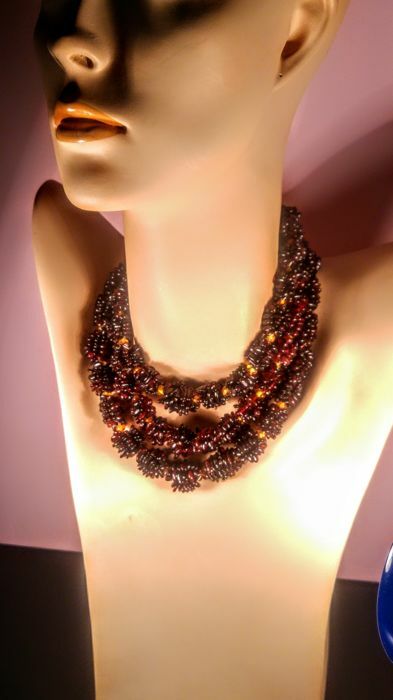 3 necklaces x 43 cm.